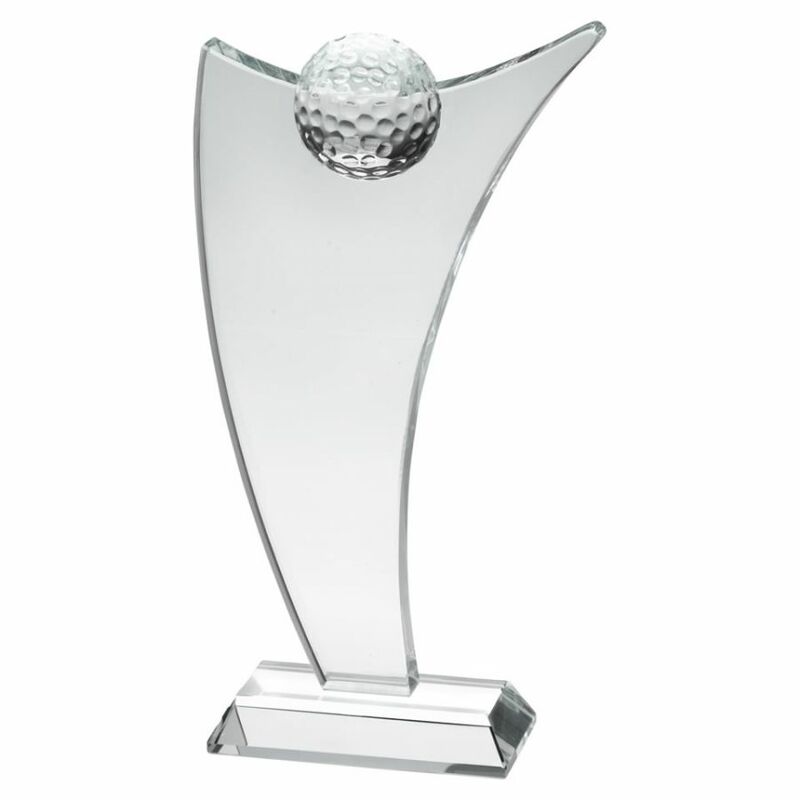 Stylish golf award in modern design featuring a glass plaque in sail shape with half golf ball insert at the top. Set on a bevelled glass base, these contemporary golf plaques provide a large area for engraving or colour printing. Available in three size options.